Zambia : China calls AU spying report "preposterous"
Addis Ababa – China’s Ambassador to the African Union on Monday denounced as “absurd” a report by French newspaper Le Monde alleging that Beijing has been spying on the continental body. The report published last week claims technicians at the body’s headquarters in the Ethiopian capital discovered last year that the contents of their computers had been regularly copied to servers in Shanghai since 2012, citing several unnamed AU sources. “I think the report is a sensational story, but is also preposterous and absurd,” Chinese envoy Kuang Weilin said on the sidelines of the AU summit in Addis Ababa. The twice-yearly meeting is taking place in a soaring conference hall built by the Chinese as a symbol of their friendship with Africa and inaugurated the same year the alleged spying began. Weilin said the report published last week on the eve of the summit “will undermine the image of the newspaper” but not the relationship between China and Africa. The AU leadership did not address the report in their opening remarks on Sunday, and Ethiopian Prime Minister Hailemariam Desalegn downplayed Le Monde’s findings. “There is nothing to be spied (on). I don’t believe it,” he told journalists. Le Monde says the AU’s servers were changed and its IT systems redone after the copying was found. The newspaper also reports Ethiopian cyber security experts removed microphones hidden in the desks and walls of the headquarters. In January 2017, the information technology unit at the African Union’s headquarters in Addis Ababa noticed something strange, according to a stunning investigation in French newspaper Le Monde. Every night, between midnight and 2am, there was a strange peak in data usage – even though the building was almost entirely empty. Upon further investigation, the technicians noticed something even stranger. That data-which included confidential information-was being sent to servers based in Shanghai. 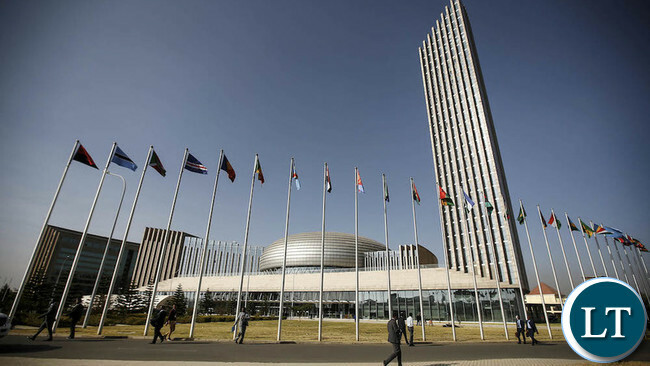 The African Union’s shiny new headquarters was built and paid for by the Chinese government, as a gift to its “African friends”. But when the building was officially opened in 2012, China left a backdoor into the African Union’s computer network, allowing it to access the institution’s secrets at will. “According to several sources within the institution, all sensitive content could be spied on by China,” wrote Le Monde. Once the problem was discovered, African Union officials acted quickly to fix it. The organisation acquired its own servers, and began encrypting its communications. In July 2017, a team of experts from Algeria-a country with a notoriously efficient intelligence community-along with cybersecurity experts from Ethiopia combed the building from top to bottom, looking for hidden microphones and other potential weaknesses. China would not be the first supposedly friendly superpower to spy on the African Union. A separate investigation in December 2016, conducted by Le Monde and The Intercept, revealed that African Union officials were targeted for surveillance by British intelligence. Africa should improve its ICT. If China is able to spy on America, what is African union, whose only sophisticated weapon is an AK47,imported from Russia and only used on its own civilian population not army against army, and when Donald says sh&thole we cry racism. It’s a spy’s world. Every country is spying on some other country. Russia is already being accused of planning to interfere with the American midterm elections. Just move with the times. True dat ndanje, a case of when you think you are f&&king them, they are f&&king you. Hmmm….Government Complex along Independence Ave was also constructed by tu ma Choncho-Lee. It houses several ministries. No wonder the Chinese are flooding into the country in truck-loads. They have all the intelligence. We need to change the servers. The West is afraid of growing Chinese influence in Africa and will do anything to try and cut it. Information is power and you can’t blame the Chinese if they are spying on the AU. After all China is investing in Africa on a grand scale and would want its investment to be safe. I don’t trust these Chinese fellas at all. There are too many and have the time, resources and dedication to carrying out spying activities on the delinquent good for nothing AU. true! finshi kalekana aka akamu chocho-lee. China has advanced its technology through spying, copying and stealing the western world technology. utuma chocho-lee are now busy spying everywhere. Mr. Kuang Weilin, what is preposterous and absurd is for you to say “There is nothing to be spied (on)…” when China has a huge presence and interest in Africa. There is no free lunch ladies and gentlemen! When will we learn that? Take nothing for granted. I mean, nothing. Free things are very expensive! In Zambia the Chinese do not need to spy. They have free access, just as the IG recently revealed by publicly giving them top police positions. Long ago I read a novel by James Hardly Chase. The world in my pocket. If you have the money, then you have the world in your pocket. They can see Lungu anytime not because of being Chinese but because they have what Lungu is looking for; Money!